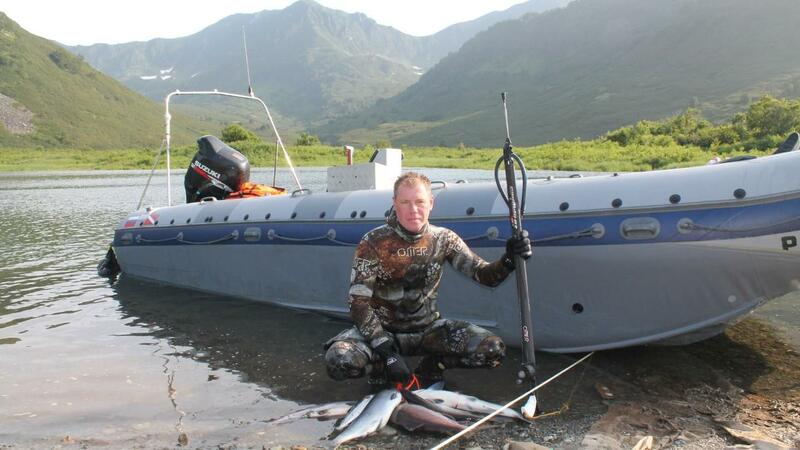 This is a universal, five-day, fishing tour along the southeastern coast of Kamchatka, on large, high-speed, exclusive boats. In which you can fish in the ocean, rivers and lakes. Spend the night in tents on the banks of the most beautiful bays and rivers. Cook your catch and enjoy the taste of your freshly caught fish sitting by the fire. You will be able to see killer whales, whales, sea lions, seals, bears, many different birds. You can try to catch in the sea: halibut, cod, pollock, green rasp, blue Pacific perch, flounder, steers. Crab Kamchatsky, strigun, hairy. And in the rivers there is char, sesame, pink salmon, chum salmon, sockeye, salmon, chinook salmon. This is a very interesting tour. It can be called and extreme. Our tours are performed on large, high-speed, exclusive, expedition boats. We spend the night in tents, on the banks of coves and rivers. 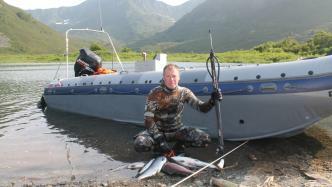 The tour is designed for a group of fishermen, underwater hunters or just tourists. Just focus on this or that direction. The tour will be different, sea fishing, river fishing and fishing in the lake. We provide tents, karematy, campfire, sea spinning. During the tour we will walk around the ocean about 250km. The group sits on the same boat. We have two such boats. That is, we can take two groups.